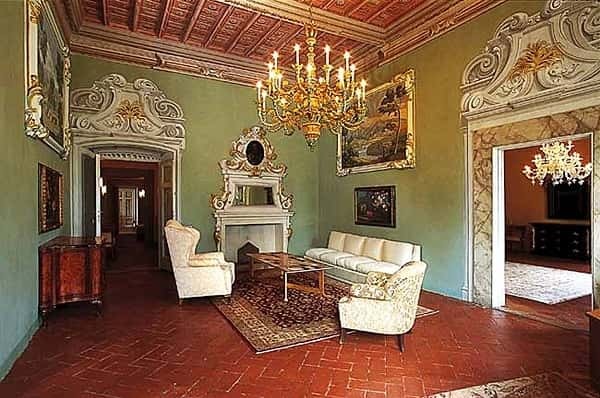 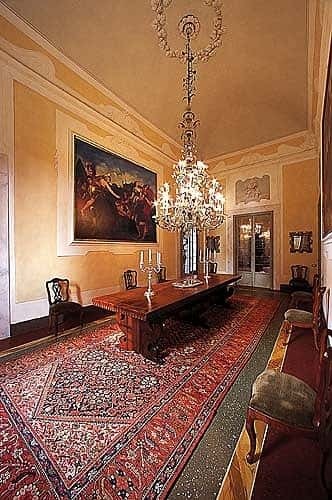 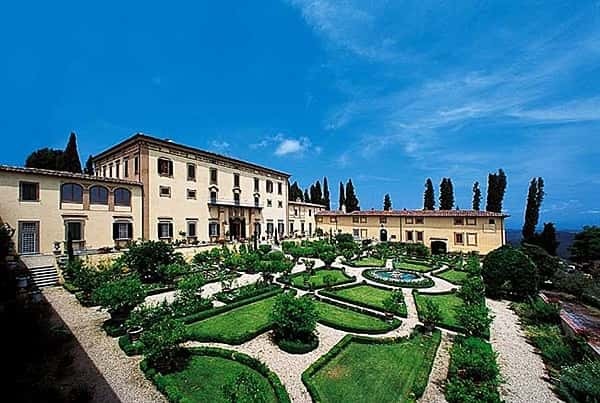 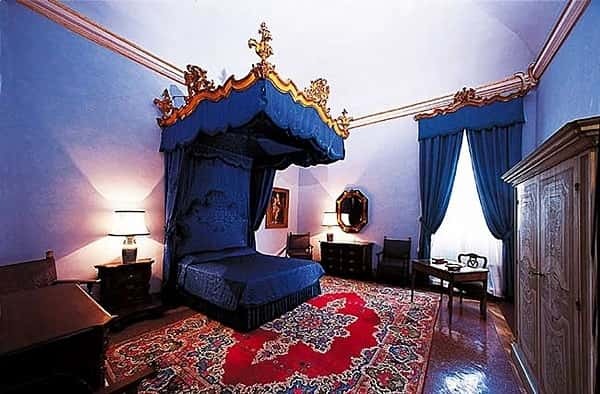 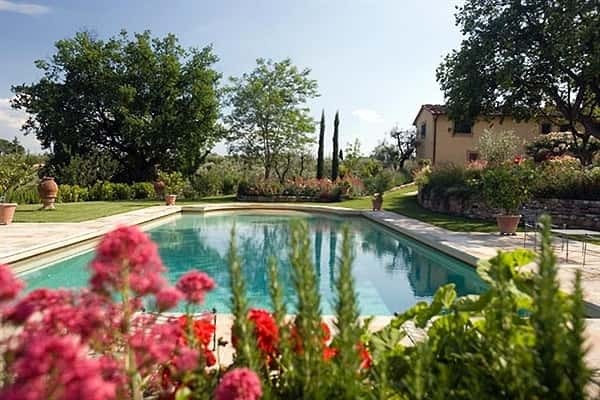 The villa is one of the largest and most elegant residences in the area of the San Casciano Hills, near Florence. 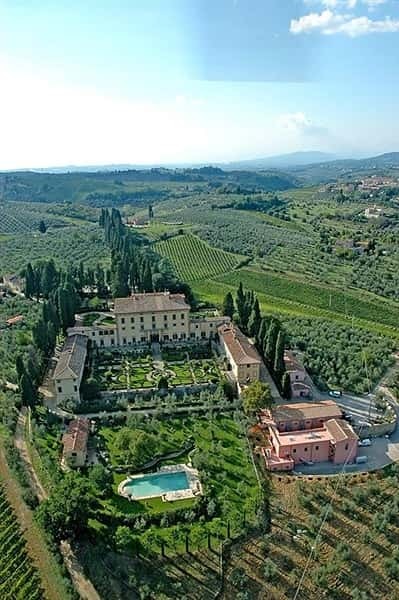 Known in the past as the "queen of all villas", it appeared on record as early as 1427 bearing the name of "Poggio Torselli". 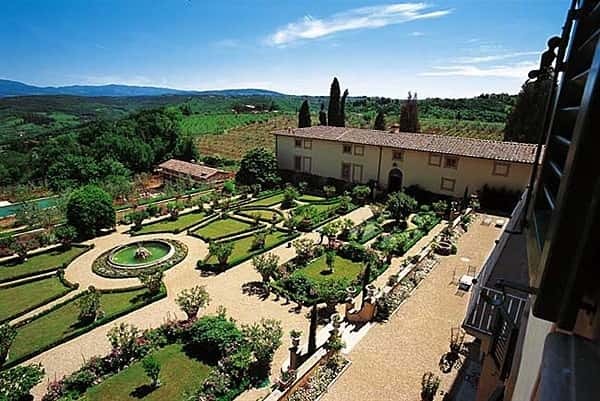 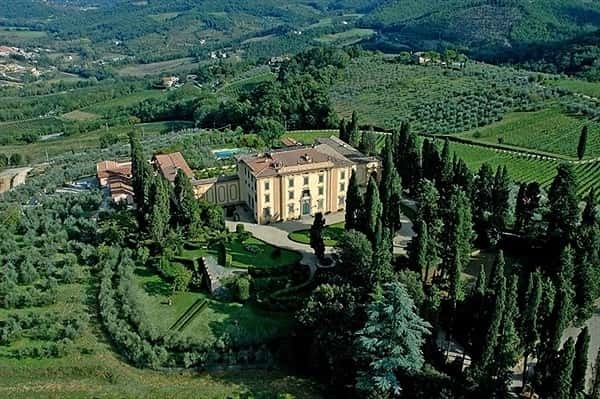 It was the property of some of the most remarkable patrician families in Tuscany:Macchiavelli, Corsini, Strozzi,Antonori, Capponi and Orlandini,who owned the villa until 1722. 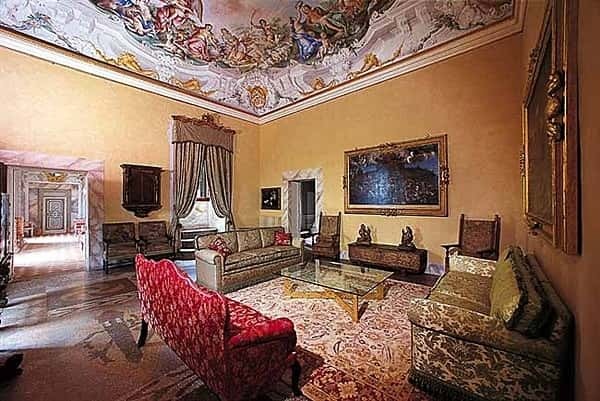 The villa's prestigious status drew many important figures, among whom Pope Pius VII - who stopped over on his way to Paris to crown Emperor Napoleon in 1804 - and Paul I, Emperor of Russia. 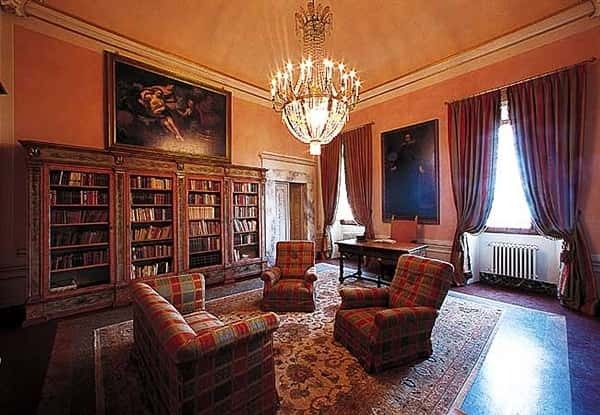 Today the villa is a national monument. 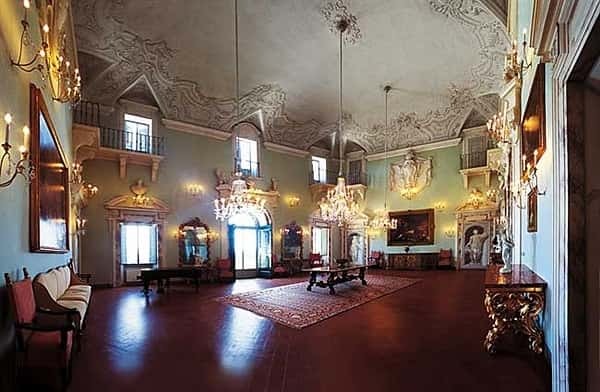 The big ballroom of the palace, can be suitable, in exceptional occasions, for gorgeous receptions in a luxurious background whose refinement evokes either the noble tradition of the most illustrious guests of Villa Poggio Torselli, or the social standing of the VIP invited today to succeed them enjoying, with its best wines, the exquisite cooking of all the Villa's products.